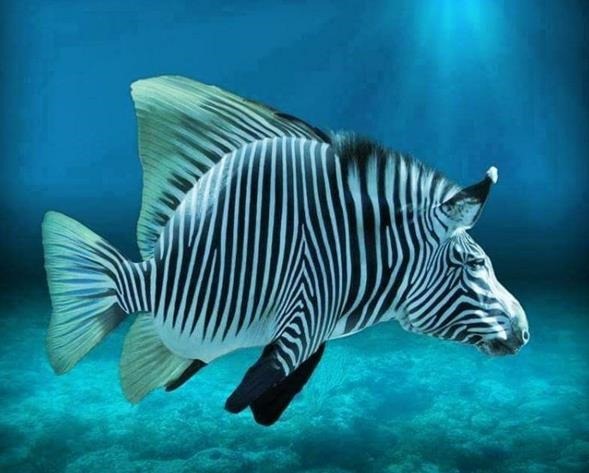 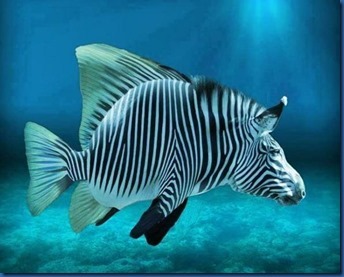 ZEBRA BAT FISH – Swimming in schools, their stripes confuse the predatory Lion Fish (above). 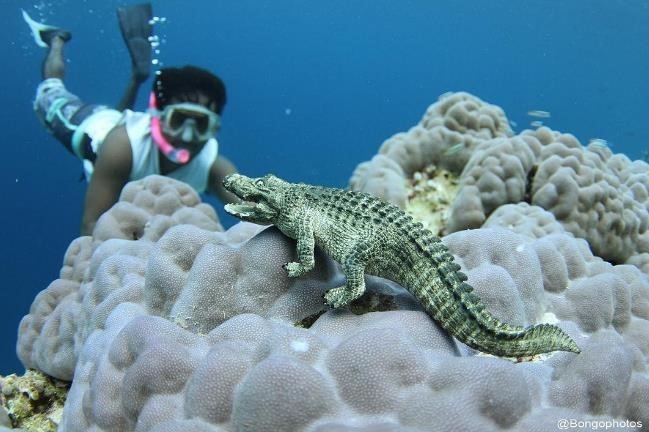 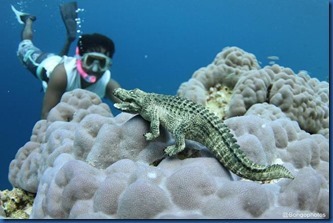 LACCADIVE CROCODILE – Distant relative to the African variety thought to have migrated from Madagascar (below). 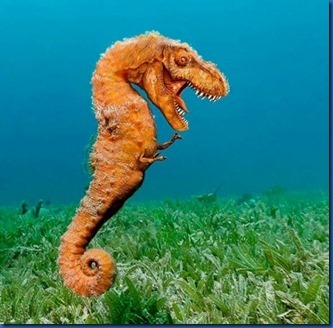 SEA-REX – A living fossil as ancient as the Megalodons that prowled these waters millions of years ago (bottom).